Breast cancer in young women: have the prognostic implications of breast cancer subtypes changed over time? 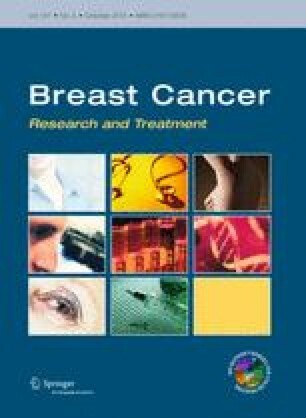 We analyzed the impact of age according to subtype and compared outcomes for breast cancer (BC) patients across two time periods to determine whether the previously observed poor prognosis associated with BC in young women persists in the context of modern adjuvant therapies and relative to BC subtypes. Women aged <50 years (y) diagnosed with invasive BC between 1986–1992 and 2004–2007 were identified from British Columbia Cancer Agency’s Breast Cancer Outcomes Database and analyzed by age category (<40 and 40–49 years) and subtype. Subtypes were defined by immunohistochemistry. Relapse-free and overall survival (RFS and OS) were estimated using the Kaplan–Meier method. Multivariable analyses using Cox regression models were performed to adjust for prognostic variables. Age <40 was associated with inferior 5y-RFS for Luminal cases within both time cohorts (1986–1992: 65 vs. 77 %, P = 0.009, 2004–2007: 79 vs. 92 %, P = < 0.001). Inferior 5y-RFS was observed for those <40 with HER2-positive cancers in the 1986–1992, but not 2004–2007 cohort (49 vs. 66 %, P = 0.017, and 89 vs. 89 %, P = 0.879). No difference according to age was observed for triple-negative cancers in either time cohort (1986–1992: 60 vs. 63 %, P = 0.868, 2004–2007: 78 vs. 77 %, P = 0.933). 5y-RFS improved over time for all subgroups. OS for the Luminal subgroup improved for those 40–49 years but not <40 years. The effect of age varies with subtype. Age <40 years predicts inferior RFS and OS for Luminal BC in the modern era. Research efforts should target Luminal BC in young women for whom discrepancies in outcome persist.